Semiconductor stocks and related exchange-traded funds (ETFs) are among the star performers in the first quarter. The widely followed PHLX Semiconductor Index is higher by 22.11 percent and chip stocks are on pace for their best first quarter showing on record. Starting 2019 with bullishness in the semiconductor space is a welcomed sign after the group stumbled in the later stages of 2018. 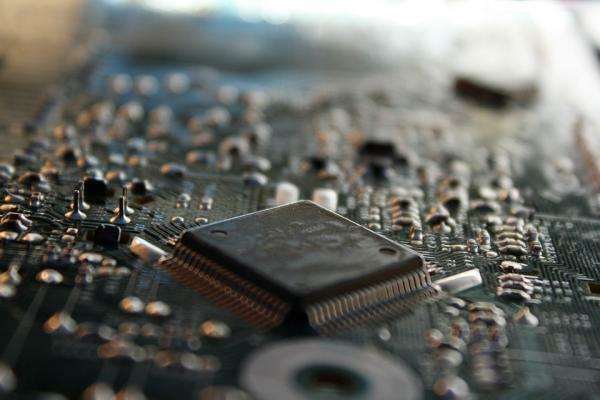 Two the largest semiconductor ETFs posted double-digit fourth-quarter losses. Of course, the resurgence of chip stocks this year is benefiting the Direxion Daily Semiconductor Bull 3X Shares (NYSE: SOXL), which looks to deliver triple the daily returns of the aforementioned PHLX Semiconductor Index. SOXL, like any other leveraged ETF, is designed for short-term traders and the fund has been delivering for those near-term traders. This month, SOXL is up 13.48 percent, good for the second-best performance among all of Direxion's leveraged bullish funds. While higher has been the path of least resistance for chip stocks in the first quarter, some market observers doubt the rally can continue. The Direxion Daily Semicondct Bear 3X Shares (NYSE: SOXS) would benefit from such a scenario. The bearish cousin to SOXL, SOXS seeks to deliver triple the daily inverse performance of the PHLX Semiconductor Index. Recent flows data indicate some traders are warming to the bearish SOXS and plenty more taking profits in the bullish SOXL. For the 10 days ended Monday, March 18th, traders pulled $79.67 million from the bullish SOXL while adding $16.19 million to the inverse SOXS, according to Direxion data.